Assuming you are a complete novice and have never tried penning a song, what do you think your biggest hurdles are? What would help motivate you to get started? 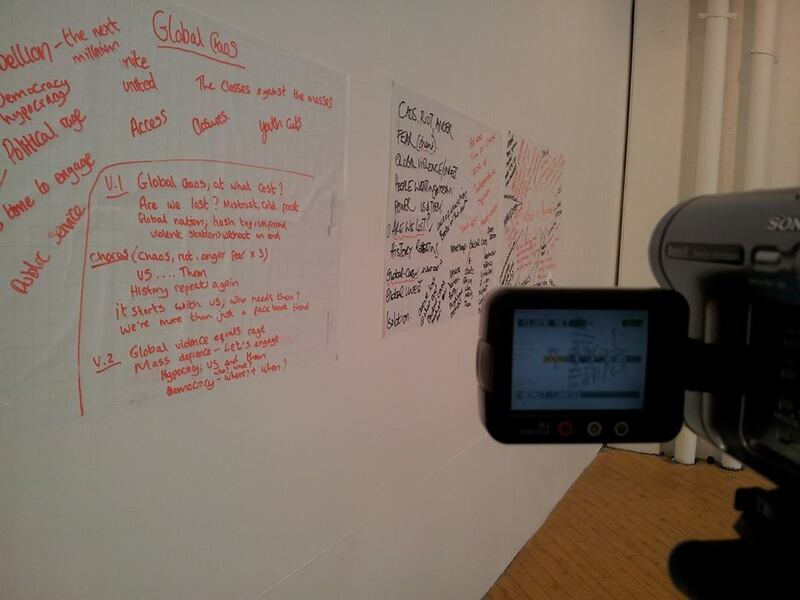 What would assist your learning; some games, a quiz, visual aids, listening activities, digital technology? Or would random Mr Miyagi style exercises that trick you into songwriting when you actually think you’re mopping the floor or something be more up your street?! Would you like to learn some basic music theory skills in the process of attempting your first song, or would you rather it be more organic? Would an imposed structure work for you – such as trying to write lyrics that fit into a specified theme and rhyme scheme; for example, a love song with an ABAB rhyme scheme (i.e. the last word of every other line must rhyme)? Perhaps you feel you lack the self-discipline for these techniques to be effective and you would rather just improvise freestyle and see what comes out? Finally, would you like to be able to contribute musically to the songwriting process (via virtual instruments if you do not play an instrument), or would you rather communicate your ideas to a musician and/or producer and have them translate that into music for you? Forget-Me-Not are in the process of conducting research and development, compiling a resource of universal songwriting approaches that work effectively on complete novices to seasoned pro’s alike. This research and development will feed into a songwriter’s toolkit entitled ‘Stuck on Repeat? Stay on Track: The Ultimate Songwriting Resource‘. It will be based on the suggestions and preferences of both songwriters and non-songwriters, so it will be tailored to a variety of needs and be fully accessible to everyone. Please share your thoughts here, or via the Facebook or Twitter feeds below. Thanks in advance! My son is Cillian McSweeney. 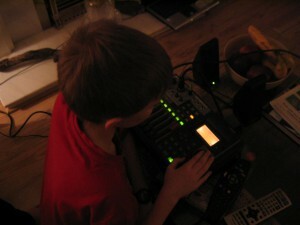 He has been writing songs and music through eyegaze . He has tried every software out there to make his music , also he loves to perform using a laptop with a switch button to play his melodies along side other musicians . He has made an Ep called “Unique “, with a band called Circles, who were put together by a local community scheme . Cillian loves to write lyrics and melodies but his dyslexia can be a problem for him when it comes to rhymes etc. He has been mentored by a company called SoundOUT over the past few years . He has reached as far as he can go with them and is always looking for new projects as the local community schemes are only temporary so he doesn’t have a band again…but he loves to try new things to help or advance his career. He has done a music theory course, so he is on track with his notes. Cillian recommends the new Chrome music lab for songwriting using eyegaze. Hi there Angela. Thank you for getting in touch and for sharing the videos. I checked out Cillian’s youTube channel; it’s great to see disabled musicians flourishing and to see someone challenging the misconceptions that exist out there regarding creativity and disability. 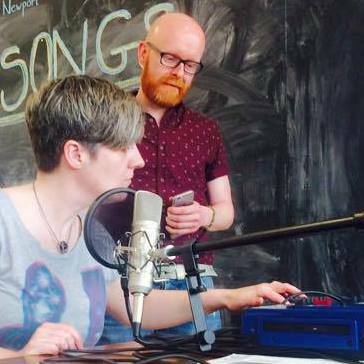 It would be very useful to get Cillian’s further input for our online songwriting resource, as accessibility is the key for us. I think you chatted briefly with my business partner Mel Saddler via the Smartbox facebook page re. the music software Cillian has been using? What we are finding challenging is the technology currently available (or lack there of). Much of the music related software for eyegaze is aimed at people with a low cognitive ability (such as the Look to Learn stuff). We have used some mainstream software such as Beamz, as well as adapted mainstream software, such Virtual DJ (we have created Grids to enable eyegaze users to access Virtual DJ, Music Maker and Ableton). Now we are wanting to find something that takes a bit more skill that enables physically disabled musicians write melodies as well as being able to have input into the overall musical arrangement. We tried out Cillian’s recommendation for Chrome Music Lab in our session yesterday with an eyegaze user to positive results. Thanks for the tip! I have been using a couple of ideas that work for me as ways of prompting ideas. I compose short stories, and I am constantly searching for unique ways to approach my writing. One of the things that helps me is to take a newspaper (any will work), and cut out the headlines. Just the headlines, and leave the articles behind. Then, put the headlines in a hat or box, and pull one out. Whatever that headline may be, the story should incorporate it, in any number of ways. Next, I use a prompt that Andre Dubus, Jr (a famous short story writer) taught me. I picture an ashtray, and from the contents, I imagine the people whose hands have discarded their used fags. It could be a dinner party, backstage at a concert, or a business meeting. The possibilities are endless. Thanks so much for your input. This is interesting to me as I write short stories, poetry, scripts for theatre and as you know – song lyrics; yet I have never thought to apply a blanket technique to all of these art forms. If I am in script mode I have my metaphorical script writing hat on and likewise for poetry and lyrics…but I suppose they are all stories of some description. I will certainly give the headline idea a bash on my next songwriting attempt. I’d love to read some of your work some time. Biggest hurdle is self belief. Thoughts that go through my head include “songwriters are other people”. brainstorm ideas with, making lists, having topics/themes eg. Christmas . I use my iPhone to record melodies and lyrics otherwise I’d forget. I rather enjoyed that session we did with you and the guitar and just sang it out until we got it. Yes, that’s exactly the sort of thing, thanks Jay. I agree, the biggest hurdles (even for the most seasoned pros) is self-belief. Writer’s block is usually manifests itself in me as “I can’t think of any original ideas…I can’t think of a melody…I can’t this…I can’t that”! Really good tips though, especially about brainstorming and collaborating with someone. Regarding the timing issue…I would use a metronome app and sing the song to that…that should be a big help. One of the biggest challenges for me is not being polluted by lyrics and melodies that already exist. It’s incredibly difficult to genuinely frame your mental context, meditation style, to a blank state… pink elephant syndrome if you will. Techniques to clear the mind would help here. Also, composition without genuine motivation also leaves me feeling empty… Trying to create a song for the sake of it rather than having something to actually convey. Techniques to unlock creativity would help… Should the artist verbally tell you a story first? Is there a technique to condense that down to the key aspects? Is there a technique to then translate those to lyrics that better lend themselves to melodic patterns? Finally, teaching analysis techniques of what makes a track great would really help with decomposition… If I knew the musical Lego bricks I’d have a better place to be creative from. For example, right now I am obsessing over Rubberband Man by The Spinners. It doesn’t tell a compelling story, doesn’t have emotional depth but it has the ability to shift my mood in a heartbeat. I’d love to break that down to understand why. Decomposition may help with the pink elephant problem too… Rather than obsessing on an instance of great music, I could see it through the lense of its components. As a programmer, this would really work for me. In that regard, perhaps there are learning styles/cycles for musical creativity similar to those proposed by Kolb and Lewin? A generic model for students will probably have limited impact versus a learner centered model. Is there a simple assessment to understand the learner type that you can quickly run up front to guide your teaching approach? I’d never heard that track (The Rubberband Man) until reading your comment – it’s got a nice hook…a 60s/70s funk-soul vibe; I like it, but I don’t love it. So as to your question about why it has the ability to shift your mood in a heartbeat (while for me it’s just a nice background track), I don’t know. It’s a difficult one to deconstruct as it’s such a personal and subjective thing (musical taste I mean). I agree with what you said to an extent – about needing to know what the “music Lego bricks” are to be able to dissect undisputed classics and then in turn attempt songwriting yourself. When I was studying GCSE music at school, a good pop song was illustrated by Beatles hits such as “She Loves You” and “Love Me Do”, rather than their later material (which in my opinion is by far superior). Structurally and theoretically speaking, the Beatles’ early hits had a winning ABABCB formula (verse, chorus, verse chorus, bridge, chorus) and a catchy hook that reeled the listeners in – one that influenced (or was copied) by countless bands like Oasis. But in my opinion, those other bands never quite hit the mark in the same way as the Beatles – even when the Beatles were at their most formulaic. I suppose one of the reasons is when the Beatles revolutionised music with this songwriting approach, it was fresh…what became formulaic for other bands was never formulaic for the Beatles because at the point that other artists started replicating the basics of this style they had already evolved into musicians who came up with such masterpieces as “Strawberry Fields Forever” or “A Day in the Life”. So what gives Paul McCartney, Queen and Brian Wilson that magic ingredient? Or is it purely subjective to the listener? I’m sure there is not a person out there who would argue the pure genius of a song such as “Bohemian Rhapsody “, but yet there are plenty of influential songwriters (such as Kurt Cobain and Ed Sheeran) that plenty of people deemed talentless and overrated. As a facilitator, I try to get my songwriting students to deconstruct tracks that speak to them on a personal level, in relation to their musical components (genre, hook, riff, tempo, lyrics and rhyme scheme, structure etc. ), while trying to get to the heart of the matter – why it is they like it? Does it boil down to the music (melody, key, pitch, tune, instrumentation etc.)? Or is the lyrical content, song theme, rhyme scheme etc? Or a mixture of both? Again, this is very subjective. The average music consumer isn’t interested in the key changes, the musical arrangement or what the relative minor key is. They are drawn in by the elusive combination of a great lyric and catchy tune – something that they can sing along to, possibly dance to and on some level relate to.